If you notice my wordpress account now redirects you to aphrodite.cat. The “aphrodite” part of my URL refers to the name of our St Francis 50 catamaran. And, the “.cat” domain is a nod to the fact that we own a catamaran. However, as part of my agreement to use the .cat domain I have agreed to promote Catalan culture. I admit this is a tall order. I have been to Spain several times, but I haven’t been to the Catalan region. This is my first blog post with cultural promotion in mind. 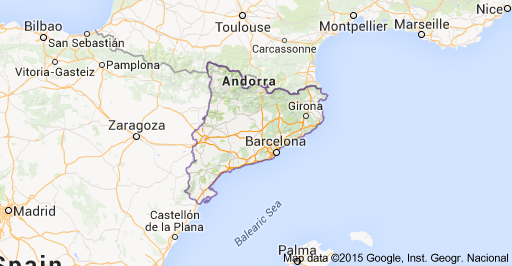 To get started, Catalonia is an area in Spain, highlighted in the map below. You may have heard about the .cat domain in the news. In April 2015 someone aped the New York times, by recreating the front page of the newspaper, but replaced all of the photos with videos of cats. The website was called NYTimes.cat. However, this is not in the spirit of the .cat domain. In May 2015, the Washington Post described the .cat domain in greater detail in an interesting article, called “The curious case of .cat, the Internet’s weirdest, most radical domain“. Certainly, it appeals to me to be using the Internet’s most radical domain. It saves me from expressing my inner rebel in other ways, like getting a piercing. But, onto business, and that is, promoting Catalan culture. Surrealist painter, Salvador Dali is one of the Catalan’s most famous people. In the following paragraphs I was hoping to discuss the intersect between Dali’s work and flag-waving, Catalonian nationalism. But, plainly I am not an art historian, and life and ideas do not always fit in tidy boxes. Norman Berdichevsky writes that Dali was representative of the Catalan community. 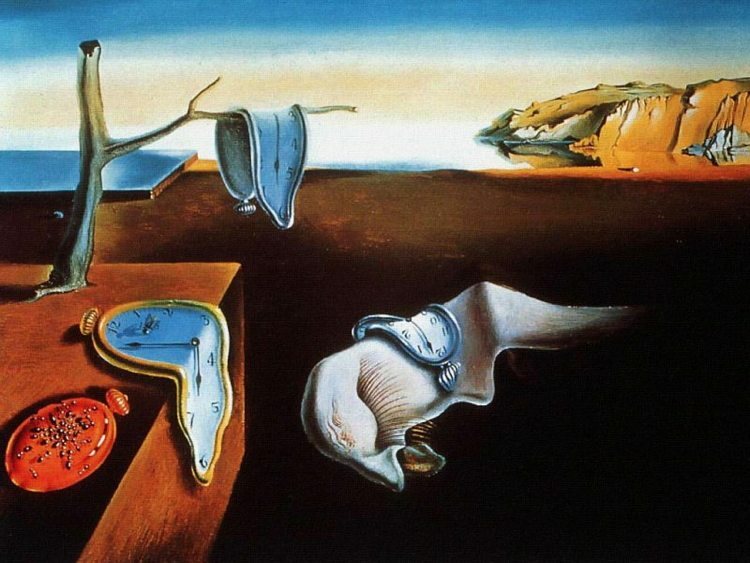 Berdichevsky believes that Dali’s work showed the “Catalan genius for non-conformism and innovation.” To illustrate his unique style, here is one of Dali’s iconic works, called “The Persistence of Memory”. Mamta Bhatt writes that the simple message of “The Persistence of Memory” painting is that “time is meaningless”. As to the other objectives and symbols in the painting, I will leave that to those more suited to provide these descriptions. Whatever his meaning, no one could dispute that Dali’s style is “different”. Nayef Abouzaki writes that Dali sought change to the point that he began to look outside of the Catalan area, and moved to Paris. (“The Unique Style of Salvador Dali“.) But, Abouzaki is not familiar with my personal goal to promote Catalan culture. My view is that you can take the man out of Catalan but you can’t take the Catalan out of the man. Professor Bender’s website above warrants a visit. Her pictures which compare Dali’s paintings to the scenery are quite striking. Some are obvious depictions, and others are more abstract – or, surreal – I suppose. 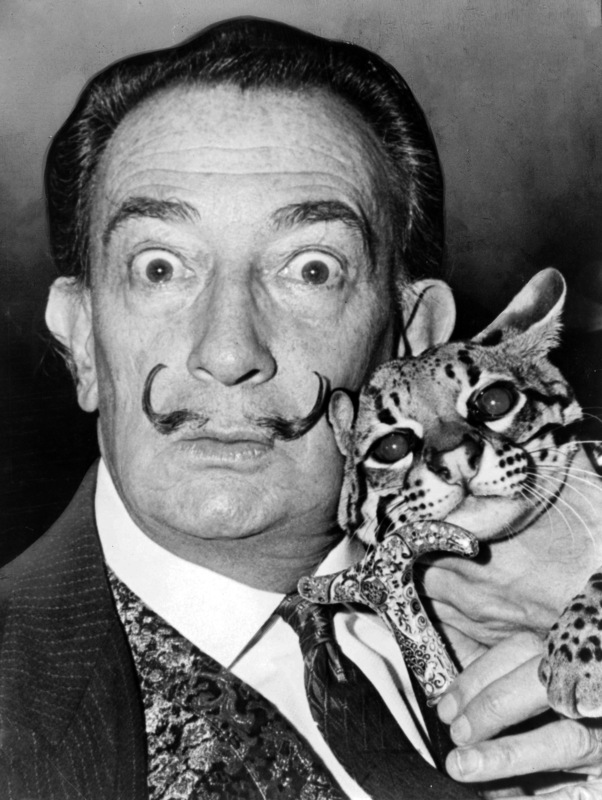 I leave you with a picture of Salvador Dali and his ocelot cat. Fitting, I thought, as my first blog post about the .cat domain and Catalonian culture.